Anyone who has been following Unreqvited’s unique journey through melancholy, glittering atmosphere and intriguing contrasts through previous releases such as Disquiet and Stars Wept to the Sea will listen to his latest album Mosaic I: l’amour et l’ardeur and find a more mature and grown-up take on depressive black / post-rock and orchestral music. It soars and grants the listener with a deep feeling of hope and longing, warmth and gentle caresses. The orchestral arrangements alone are composed with wonderment and awe. I really feel as if 鬼 (as he is known) has really created a modern masterpiece not too dissimilar to traditional composers. Mosaic I: l’amour et l’ardeur is the first installment in a two part series. I had a few questions for Canada’s own, so let us see what he had to say about everything. First and foremost I would like to tell you how much of an honor it is to be interviewing you and how much i enjoyed the dreamscape that is Mosaic I: l’amour et l’ardeur. It has a deep sense of romanticism to it. To start with I’m going to ask one important thing: Your name is a kanji symbol that means ‘ghost’, if I am not mistaken. What does this name represent or mean to you? – Thank you, I’m glad you enjoyed it. The anonymity is something that was inspired by tons of other one-man black metal bands. It adds a shroud of mystery around the music and the person/character creating it that I always found alluring. I chose kanji because of my interest in Japanese culture, and I chose the ghost kanji specifically because it just seemed to work with the atmosphere of the music. It’s very ethereal and otherworldly, like the character that creates it. What inspired you to write this album, and what general emotion were you trying to convey in its sound? – Mosaic is split up into two parts. Mosaic I is inspired by all of the positive emotions I felt over the past year, like joy, love, warmth, etc. The album maintains this atmosphere up until the second half of the final track, “permanence”. The second half of this song foreshadows the sound of Mosaic II, which will completely oppose the vibe of Mosaic I. Both records were written together, so whether I was feeling positive or negative emotions would determine which album I would work on. I have noticed that in your music synths, piano and a general passion for what some could call score is prevalent. Have the classical arts always been an interest for you? If so, when did it start? – I got heavily into neo-classical music and film scores at a young age, so that sound has always been prevalent in all of the music I write. I always want the music I write to sound as layered and full as possible, so there’s usually quite a lot going on arrangement-wise.  With black metal as a genre taking many forms and sub genres in recent years, what does black metal mean to you, and how do you feel Unreqvited reflects how you define black metal? – Honestly, the term doesn’t really mean a whole lot to me. I’m not exactly trying to write black metal music (I think that’s fairly obvious, given the sound of Mosaic I), I just write what I want to write and hopefully it resonates with other people. It’s just experimental music to me. I have noticed that Patreon is something you use to get more intimate with your fans. It seems that your fans are quite important to you, where as some black metal artists are more hate filled and do not acknowledge the fans as you do. With that said, is Mosaic I: l’amour et l’ardeur (which means “Love and Passion”) a “love song” to the fans, in a sense? – I don’t use it as much as I should, but I do want that space to be more personal with the fans. I keep everything pretty much exclusively about the music on other social medias, because that’s the way I think it should be. Hence the anonymity. Considering I’ve already released a record this year, in a sense, yes. This is a gift to everyone that has been supporting me since this started back in 2016. As I stated in the beginning of this interview, the album is inspired by all of the love and happiness I felt over the course of this year, and a great deal of that has come from the fans that support the project. What type of art outside of music has influenced your sound with Unreqvited? – Film has been a big one recently. Visual art in general always inspires me to write. I don’t really play any video games, but there are a couple that I’ve recently gotten back into that I used to play as a kid that are really inspiring me. Now, onto the album itself. I have noticed that the album begins in an ‘awe and wonder’ type sound that starts softly, with a aura of ‘love’, and as you continue the album the ‘passion’ sound comes more into play. is that intentional, to have the music flow from ‘Love’ to ‘Passion’ as one listens to it? – I don’t want to get too deep into the meaning behind the records. What it means to me may not be what in means to someone else, and I don’t want to ruin that interpretation for anyone. While I listen to Mosaic I: l’amour et l’ardeur I hear a sense of hope, yet longing. Was the emotion that the music invokes any representation of your own feelings towards life? If so, what is it like to make music personal to you that touches others from around the globe? – My music will always be a representation of my own feelings towards life. Everything I write tends to have the melancholic, longing feel to it. Mosaic I is no exception, I just wanted it to be more hopeful sounding than what I’ve done in the past. I honestly never really thought my music would reach as many people as it has. I’ve only ever written music because it was therapeutic for me, but seeing how much it helps other people as well has pushed me to want to write more and more. Mosaic I: l’amour et l’ardeur is a very grand album. How do you go about composing and arranging such a complex work while still conveying something so powerful? It’s as if you do it so flawlessly. I must say, I am impressed. – Tons of practice, I suppose. I’m absolutely addicted to the composing aspect, but I sometimes struggle with the actual production of the albums. That usually takes the most time to get everything sounding the way I want it to. Composing is by far what I’m most passionate about though, so the arrangements and everything come very naturally. How did you originally gain the attention of Avantgarde Music, and did you enjoy being on a label with such a long history in black metal music? What made you then switch to Northen Silence Productions for this release? – I think I just sent Rob a message once Stars Wept was completed and he really enjoyed the album and wanted to work together for its release. I’m a huge fan of tons of the artist on the roster, and had heard nothing but great things from friends that were on the label, so I was really happy and excited to work together. I wanted to experiment a little with this record, that’s why I went with Northern Silence for its release. Torsten and I have been talking about working together since Disquiet, and I always like branching out and working with new people. Avantgarde and I are working on something for 2019 though that the fans are really going to love. Very excited about it. Is there anything you would like to say to the readers in closing? – First off, I just want to say thank you to you for the interview, and for giving me a platform to talk more in-depth about the music. Thank you to everyone that has picked up the new record, It truly means the world that people all around the world are listening to and supporting the sounds that I make. I have so much more in the works for 2019, I hope you all stick around to see what’s in store. Purchase Unreqvited‘s Mosaic I: l’amour et l’ardeur on CD, vinyl or digitally from the band here, or through Northern Silence Productions here. This entry was posted in Interviews, Unreqvited and tagged Interviews, Unreqvited. Bookmark the permalink.